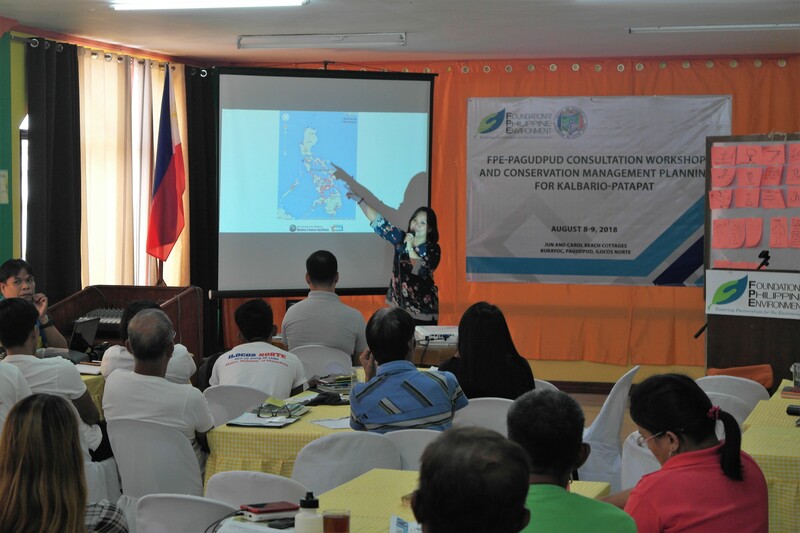 The Foundation for the Philippine Environment (FPE), in partnership with the LGU of Pagudpud, Ilocos Norte, have successfully conducted a Stakeholders’ Consultation and Conservation Management Planning Workshop last August 8-9, 2018 for the Kalbario-Patapat Natural Park (KPNP) – a key biodiversity area (KBA) and one of FPE’s priority conservation sites in Luzon. Dubbed by the locals as the “Last frontier and lung of the North”, the KPNP has been chosen by FPE as one of its six priority conservation sites nationwide laid out in its ten-year Strategic Plan. 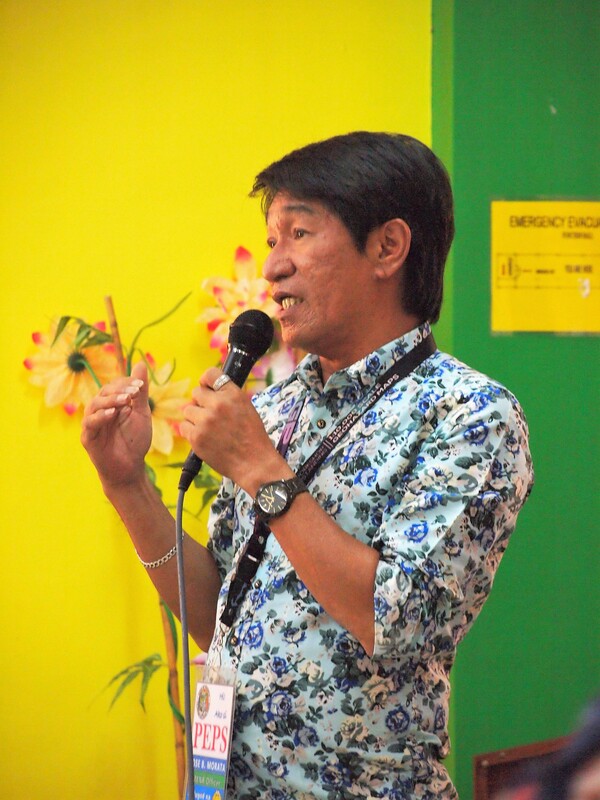 The KPNP is also listed as one of the priority KBAs under the Philippine Biodiversity Conservation Priorities Program (PBCPP). This means KPNP houses unique wildlife but is also a conservation hotspot. Previously, FPE funded the conduct of a Resource and Socio-Economic Assessment (RSEA) in order to gather baseline information in the area. 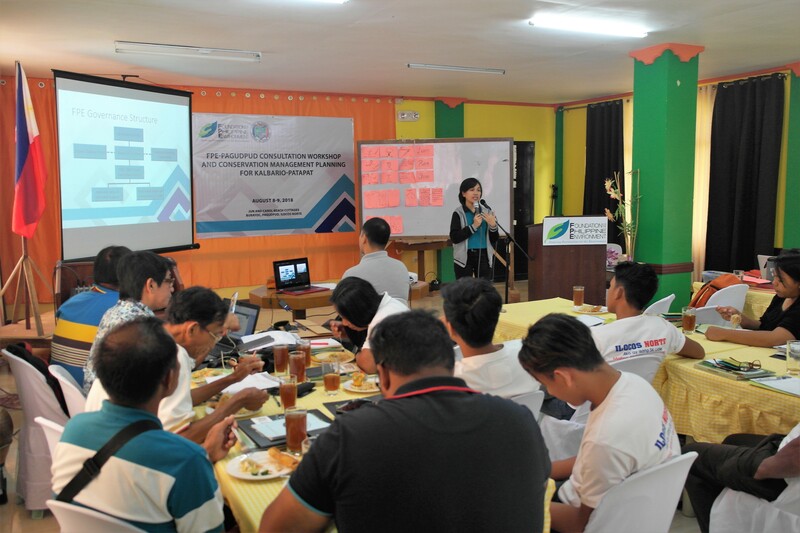 The result of the RSEA also served as inputs in the formulation of a Conservation Management Plan (CMP) which is the main output of the workshop. The CMP identifies concrete plans and actions to address the management recommendations in the RSEA with the end goal of maintaining or restoring the favorable conservation status of the key species and their habitats. The conservation initiatives identified in the CMP take into consideration community-based and community-led conservation programs. This becomes the basis for future project development activities to ensure that all interventions will contribute to the overall conservation goal for the site. 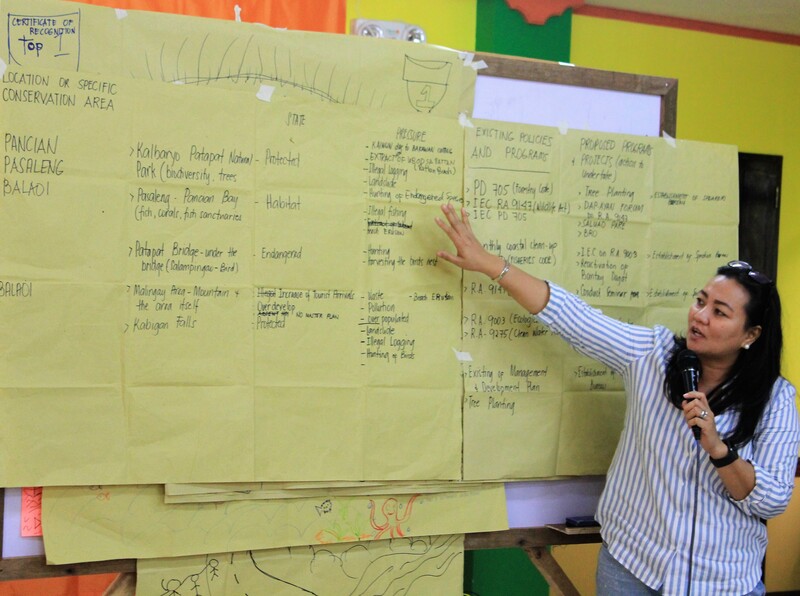 Specifically for KPNP, the proposed CMP also aims to harmonize existing conservation-related management plans and programs such as the DENR’s Management Plans for Kalbario-Patapat Natural Park and Critical Wildlife Habitat, the Yapayao Tribes’ Ancestral Domain Sustainable Development and Protection Plan (ADSDPP), the Municipal Development Plans as well as initiatives of organizations coming from the private and public sector. 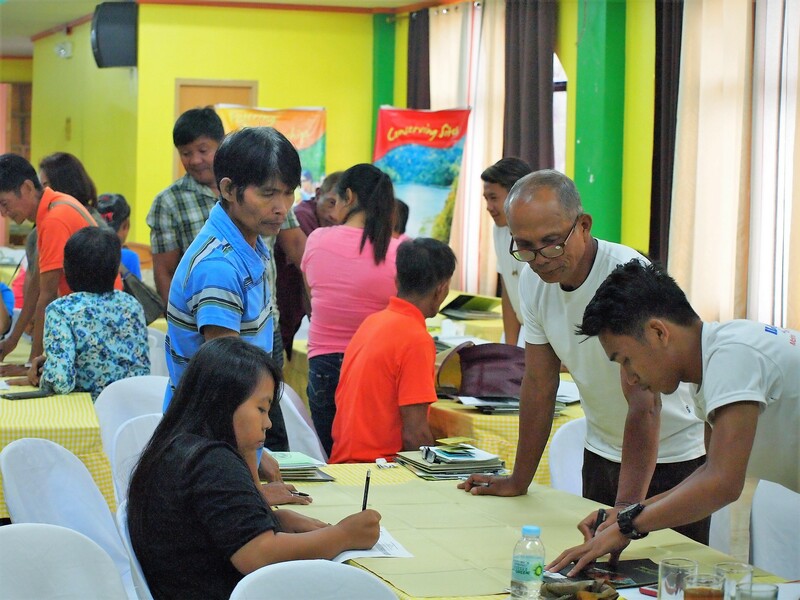 Establish a Community and Technical Working Group (CWTG) and be able to get a commitment of support to implement the Conservation Management Plan for Kalbario-Patapat KBA. 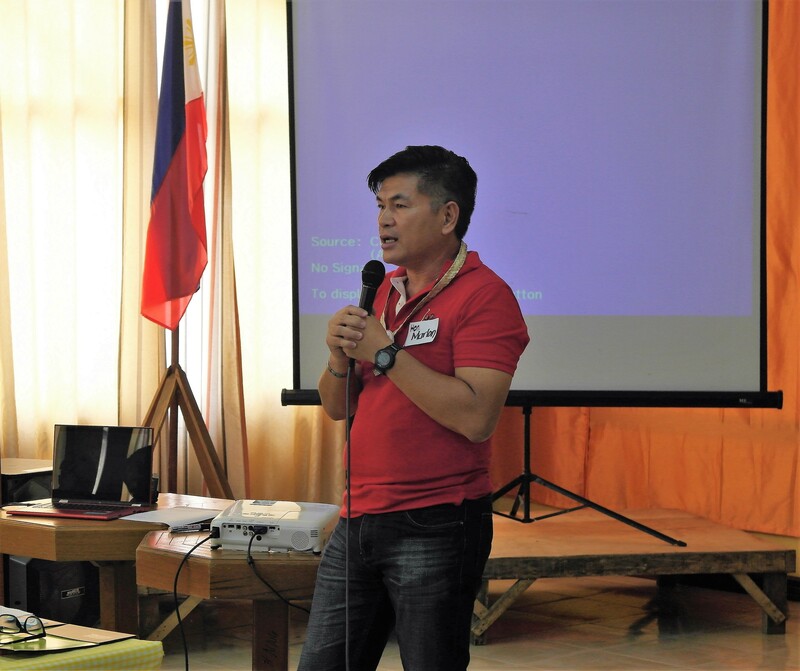 Pagudpud Mayor Marlon Ferdinand T. Sales actively supported the two-day activity, along with SB Member Emilen G. Sales, and Municipal Environment and Natural Resources Office (MENRO) Head Mr. Jose B. Morata. 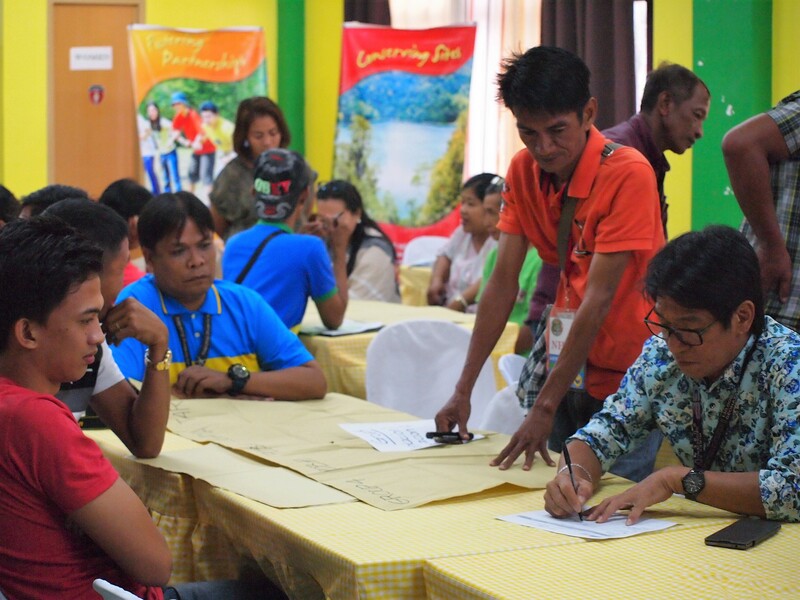 The workshop was well represented by participants coming from various stakeholders of Pagudpud and Kalbario Patapat Natural Park such as the barangay captains, Sangguniang Kabataan members, community-based and indigenous people’s organizations, other CSOs, business sector and partners from the academe and national agencies. 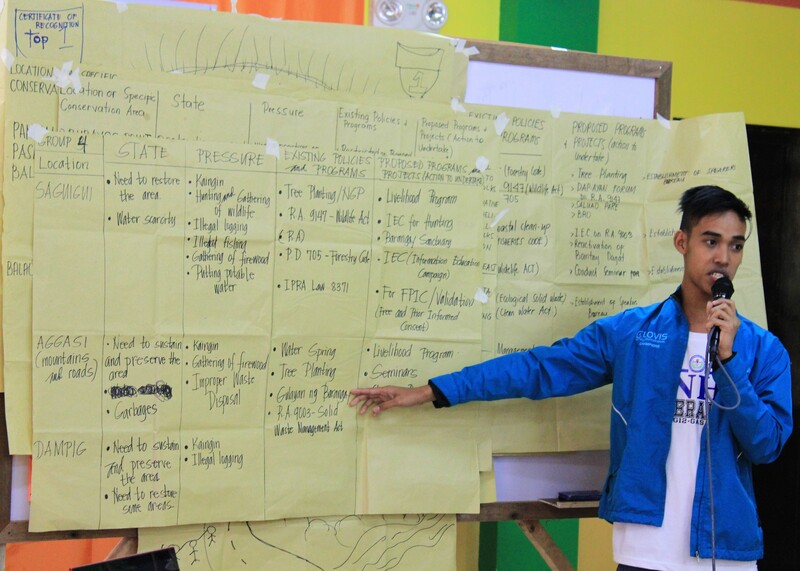 This two-day planning workshop was also made possible with the help of FPE Regional Advisory Committee Member representing Ilocos Region, Ms. Esther Roxanne B. Veridiano and assisted by staff from the FPE Luzon Regional Unit and National and Special Concerns Unit.